It's all about the beer - 10,000 years and counting. It's Election Day here in the United States which means you have two jobs to do today. Vote and then drink a beer. While we aren't here to help you with the first part of the equation, we can help you with the second. 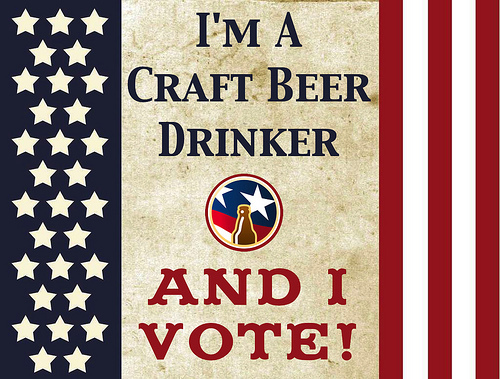 Here are ten beers to quench your thirst after you have done your civic duty. This was too good not to post! Yuengling Lager - It is the oldest brewery in America and still American owned. This beer has been in part of the fabric of America since Andrew Jackson was President. (Depending on when they brewed their first barrel it could have even been in the waning days of John Quincy Adams's presidency!) Lift a Yuengling to celebrate the legacy of democracy! Terrapin All American Imperial Pilsner - Feeling confidant today that your candidate is going to win? Then this is the beer for you while you celebrate the victory. RJ Rockers Patriot Pale - Brewed by a former Army Ranger, this slice of southern brew is a surefire thirst quencher after waiting at the polls. Blue & Gray Classic Lager - The Civil War was Americas darkest hour, but we pulled through. It has been 150 years since those trials and tribulations. Drink this and reflect on the fact while it can be bad, at least it isn't that bad. Alewerks Washington's Porter Ale - Our first President set a precedent by ensuring a peaceful transition of power. He also had a pretty good head on his shoulders when it came to brewing beer. Yards Poor Richard's Tavern Spruce Ale - He may have not been President, but there is a reason ol' Ben is on the one hundred dollar bill. One of our premier founding fathers and an American genius. Without Ben we might not even be voting today. Anchor Brewing Liberty Ale - This is the big one in election terms, President, Senate, House, Gubernatorial, all that exciting stuff. Frankly it may be a bit exhausting. Here is a beer that pick you up and renew your civic pride. 21st Amendment Brew Free or Die IPA - Passions running high today? Then this is the beer for you. DC Brau The Corruption - Worried that the fix is in? It can't possibly be as bad as 1824, or 1876, but if you need something to calm your nerves then this beer will do the trick. Avery Ale to the Chief - At the end of the day we should have a pretty good idea what the presidency will be for the next four years. Cheers to surviving another American election day! Get out there and vote!! These beer links are all business! 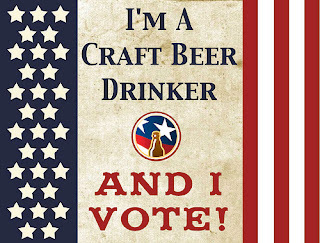 11 Beer links to tide you through Election Day!